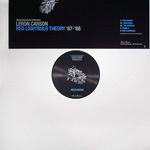 Buy Ambien From Europe In his follow-up to a split EP with Theo Parrish, Carson provides us with five more early Chicago house tracks recorded to cassette in his youth. “Mechanism” and “The Unknown” are all about roving basslines. Distorted snares splash over top. Both would sound pretty rough on a big system. “Dedicated” has more going on, mixing overbearing beats with midrange synths and samples from an M.L.K. introduction that fade into the background. Drum rolls occasionally liven things up. “China II” bears little resemblance to “China Trax,” but for the rhythm. Bass and treble synths take turns playing arpeggios. I much prefer the stripped-down original. “Red Lightbulb” is pretty cool, though, revealing house’s synthpop influences. Analogue distortion makes it even more poignant.